5 Things I'm Loving Right Now (Travel Edition) ~ Learn, Live, and Explore! As I'm right smack dab in the middle of a a whirlwind travel experience this month to New Orleans, Italy, and Seattle (twice), I thought it would be fun to share 5 things that I think make travel a lot easier! 1. 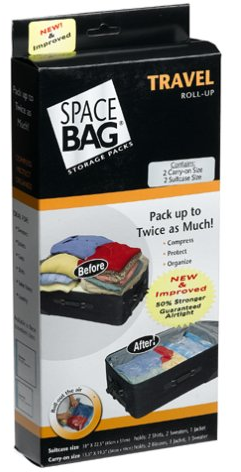 Space Saver Bags - Not only do they allow you to make more room in your bag, but they serve two additional great purposes: keeps cleans and dirties separate and keeps the bugs out (in certain countries). 2. 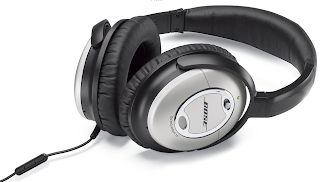 Noise Canceling Headphones - they are a little bulky when you're short on space, and they take a little while to get used to, but it's amazing how well they dull the static airplane noise. I grabbed an affordable pair at the airport Brookstone store, but you can find them all over the place with a wide price range - Bose being on the higher end. 3. 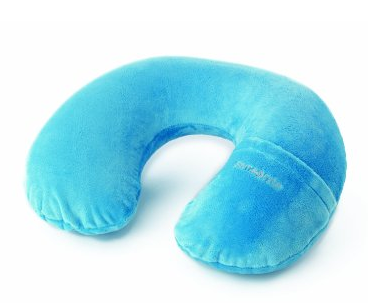 An inflatable neck pillow - for the long flights, a comfy fleece neck pillow that inflates to the perfect size for your preference. The pocket flap helps to keep the deflated and folded pillow neat and tidy. I used a Samsonite in this example, but the one I actually use is Eagle Creek. 4. 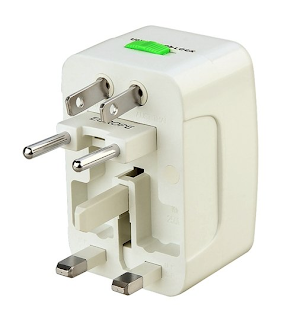 An all-in-one international plug adapter - no loose parts to lose! 5. 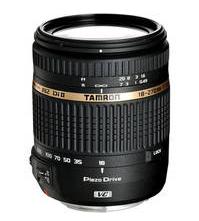 Tamron AF 18-270mm f/2.5-6.3 lens - a good all-in-one, lightweight DSLR lens is required for any travel adventure. Depending on my trip destination, I often carry 2-3 lenses, but if space is limited or my carry-on is getting heavy, I know I can use a lens like this in any photographic situation that arises. The Tamron lens is a relatively affordable solution, but an alternative is the Nikon 28-300mm f3.6-5.8. I'm currently getting to know this lens after having found one at a small photography store in Virginia when it is out of stock everywhere else and online due to manufacturing problems at Nikon.